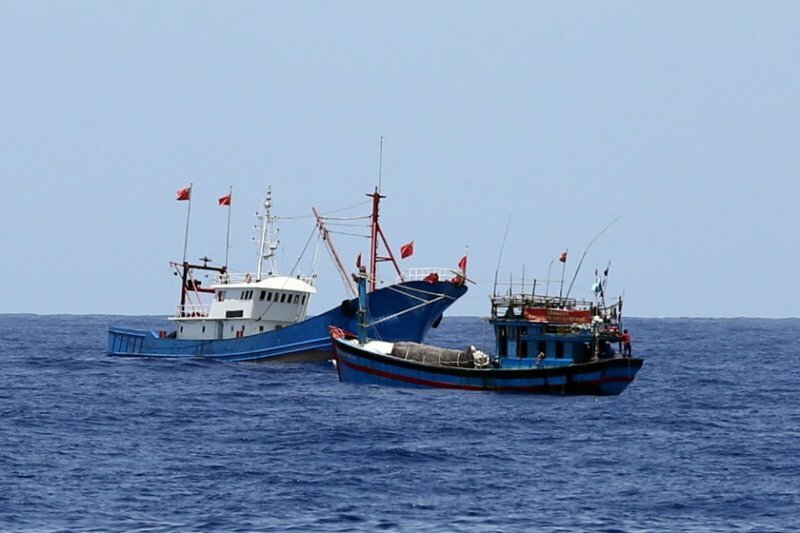 Ho Chi Minh City (AsiaNews) – The Vietnamese government has firmly rejected China’s recent fishing ban in South China Sea. The ban came into effect on 16 May and will last until August, running 12 degrees north parallel to the border of the waters of China’s Guangdong Province with Fujian Province. It includes the Tonkin Gulf as well as the Paracel and Spratly Islands, which are also claimed by Vietnam, Taiwan, the Philippines, Brunei and Malaysia. "We resolutely oppose China's worthless decision. Vietnam has sufficient historical and legal grounds to claim the Paracel and Spratly Islands,” said Vietnamese Foreign Ministry spokesman Lê Hải Bình. "Vietnam has the sovereign right and jurisdiction over national waters, and our exclusive economic zone,” he added. “This is in accordance with the provisions of the 1982 UN Convention on the Law of the Sea". China’s fishing ban threatens to hit hard Vietnam’s coastal communities, which rely primarily fishing. "All this is causing great losses to (hundreds of thousands of) Vietnamese fishermen,” a fisherman from Lý Sơn Island told a local newspaper. Starting in 1999, several Vietnamese boats have been attacked, their fishing gear and catch confiscated by Chinese “paramilitary” vessels. "Some fishermen,” he explained, “have been imprisoned on Hainan Island. After these incidents, many Vietnamese fishermen have had to take out bank loans." Some Vietnamese historians in Ho Chi Minh City told AsiaNews that "this is an extravagant demand from China. The Chinese want to control all the waters of the South China Sea. They want to turn it into a Chinese lake. For this reason, they are gradually occupying islands, atolls and reefs that belong to Vietnam and the Philippines." In addition to natural gas and oil reserves, the South China Sea has rich fishing grounds that represent 10 per cent of the world’s catch. Much of the coastal population of China, Vietnam, Philippines and Indonesia practice subsistence fishing. Because of overfishing and pollution of coastal areas, fishermen have been forced to go further afield, in areas where maritime boundaries are disputed. Small-scale incidents happen all the time involving Chinese, Vietnamese and Filipino boats. Last week, the Indonesian Navy sank 41 foreign fishing boats (including one Chinese) for illegal fishing in Indonesian waters.